Have you been ogling a certain product throughout December but refrained from clicking the ‘buy now’ button? Firstly, I applaud your willpower, but Christmas is a time for indulgence and I urge you put your over-thinking aside and press that add to basket. But, if your ‘don’t do it’ voice is still ruling the roost, our winter clearance may be enough to get your index finger into motion. If there’s anything that will put me on the edge of my seat it’s a limited edition product, and even more so if it’s already sold out once. A limited edition from Spring, the Guerlain Meteorites Perles de Blush is back, but trust me when I say that this time around, when they’re gone they’re gone. A radiance-enhancing blusher that smells just like parma violets, the blush will perfect and refresh the complexion in a single sweep. 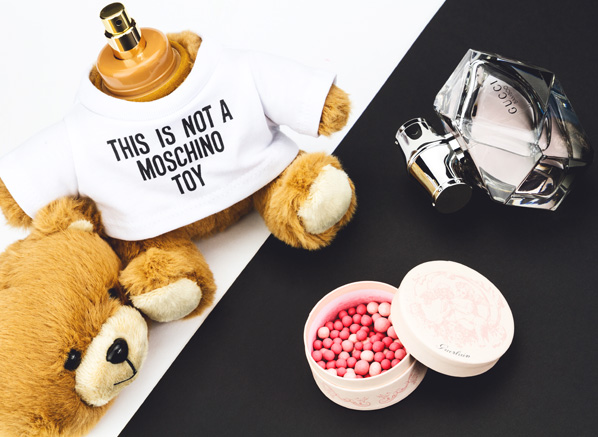 Way more than just a fragrance, the Moschino Toy Eau de Toilette is one of those things you may have wanted but never quite got around to picking up. At a phenomenal price now is your time to indulge your inner fashionsita and finally own your own designer piece. Better than half price, the blend of bright, aromatic and woody notes will smell even better knowing that it was steal. So popular it’s always in and out of stock, Gucci Bamboo has definitely been one of the most coveted fragrances of 2o15. An exotic floral aroma with an intriguing, woody base, Bamboo is a scent that’s hard not to love. You’ve probably seen the hypnotic advert on the television, smelt the multi-faceted composition on a friend and now is your time to experience its allure, up close and personal. The perfect addition to your fragrance collection, Gucci Bamboo may even become your new signature. One of 2015’s most popular fragrances, Paco Rabanne Olympea was the scent at the top of many Christmas lists this year. If you haven’t smelt it, you’ve heard about it and quite rightly so, its sweet, seductive aroma is enough to make anyone weak at the knees. The Bumble and Bumble Don’t Blow It (H)Air Styler has been making life easier for women all over since its release back in October. The air-dry crème tames fly away’s and frizz and allows you to achieve that blow-dried look minus the heat! With a blend of polymers and nourishing plant-based conditioners, the (H)Air Styler will give your hair texture and volume without one little bit of damage! So, if you’re planning on taking a break from heat-styling in 2016 this crème will be a must-have. 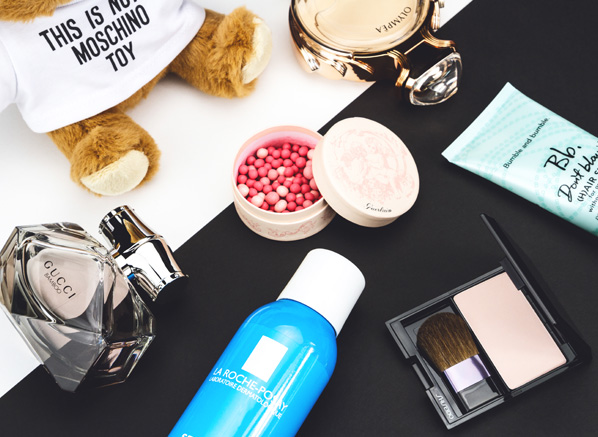 Not only is the Shiseido PK107 Medusa Powder Escentual’s top-selling Shiseido product, it’s also one of the most talked about products in the Chinese and Japanese blogger communities. 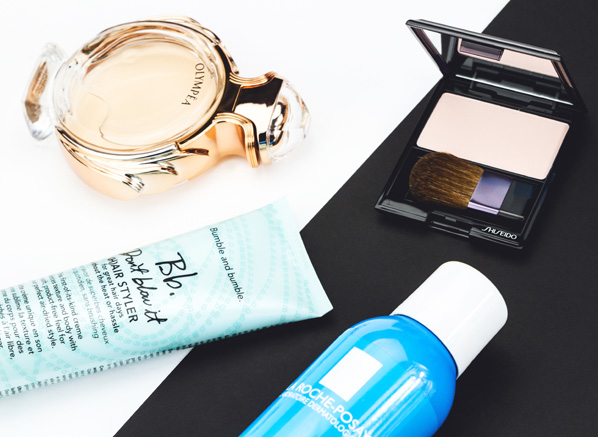 Loved for its blue-toned hue that corrects dullness and brings radiance, the sought-after highlighter is a product every beauty fanatic wants to own. This entry was posted on Monday, December 28th, 2015 at 3:40 pm and is filed under Christmas, Fragrance, Haircare, Make-up, Skincare. You can follow any responses to this entry through the RSS 2.0 feed. You can skip to the end and leave a response. Pinging is currently not allowed.